What is Your Workspace Style Like? Look Around. What Do You See? Traditional, Contemporary, Transitional...BORING? If you have a job that requires you to spend time at an office, chances are you spend more waking time at the office than at home. So, shouldn’t your office be as beautiful as your home? It has become easy to express yourself with a today’s vast array of desks, hutches, returns and storage options in styles ranging from traditional to transitional to contemporary. Office furniture designers continue to re-imagine ways to maximize use of precious work space. Frosted glass cubby doors, curved work surfaces, tall storage armoires and less restrictive modesty panels have entered office furniture design resulting in new norms in space utilization. Add to that a wide variety of durable, eco-friendly surfaces and the possibilities are endless. When shopping for office furniture, make sure to give thought to your space and your work preferences. Some people like to have more storage for documents, some like to have more storage for non-paper and some people prefer an open design with maximum work surface. If your workspace doubles as a meeting space for co-workers and clients, consider how the finish color will work for your occupation. Fresher, brighter finishes like glossy whites and reds can add a more contemporary edge which is a perfect match for people working in technology, marketing or any field perceived to be a little more hip. On the other hand, for those working in finance or law a more traditional or transitional look might seem more appropriate to clients and co-workers. 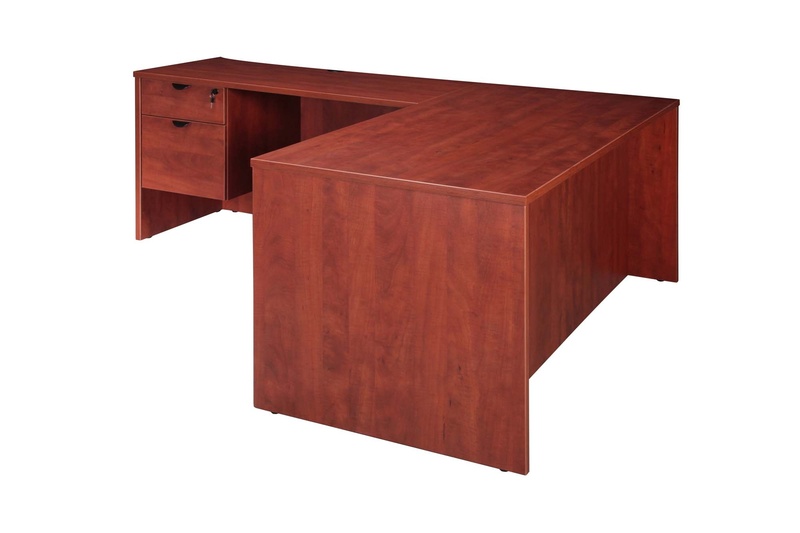 At the end of the day there are literally thousands of configurations and options for furnishing your office. Look around and engage an expert who can help you maximize your space and create a look that is like you, totally unique!